I have been investing $25 at a time and now have 310 notes up from 263 notes last month. I am continuing to use the automated note selecting mechanism which lets the computer spread the capital across a variety different loan grades. 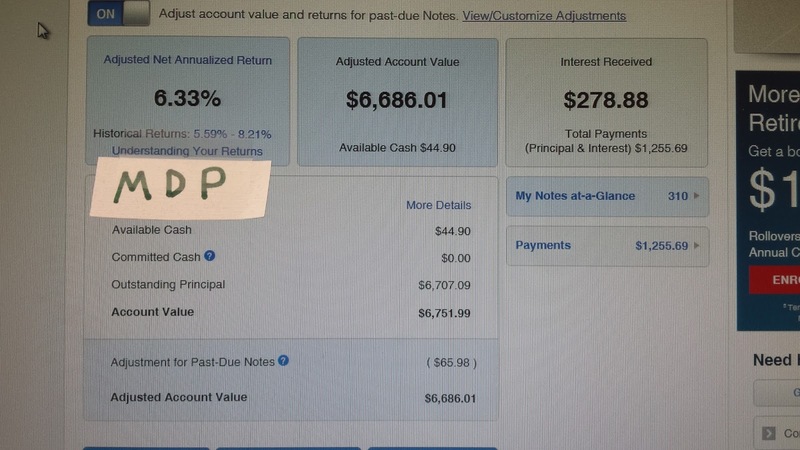 Right now as you can see above, my current return is 6.33% after all defaults and past due loans have been written down. 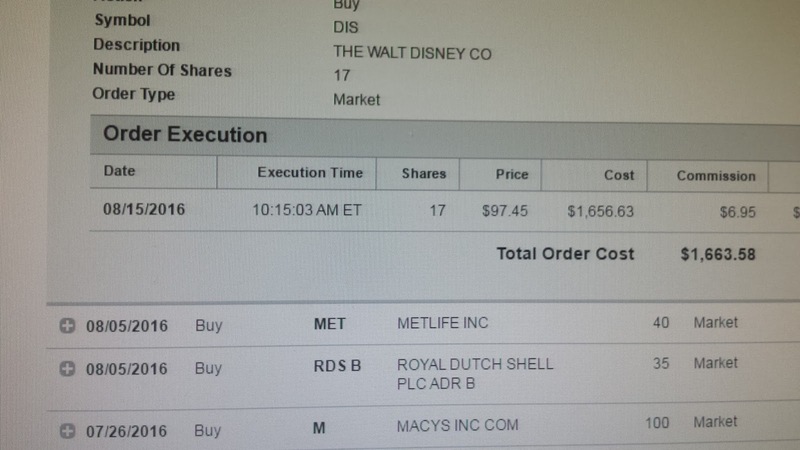 Last month my return was 6.77% which closely mirrors the predicted 6.68% return under the Platform Mix. Also, my monthly payments have increased to approximately $242 up from around $206. I was glancing over the expenses and really didn't see much in the way of outliers. During the previous two months I had a couple of big vacations including prepaying for a trip to Disney World. It appears that I had a lot of $75 to $150 expenses which included several dinners out throughout the month and a couple of doctors visits. Also the utilities were a bit higher as the Houston weather really heated up. Also my girlfriend's daughter has been staying with us during the summer so that probably is good for and extra $500 to $700 a month. Higher expenses are not freaking me out as much as they used to. Extreme expense control used to be something I really really really tried to get under control. I think that I am probably spending more money mainly because I have sacrificed so much over the past couple of decades that I am giving myself some treats. Don't get me wrong if my income starts to plummet, I can easily eliminate all cable channels, expensive meals, and other frivolous luxuries. In the mean time, I am going to continue enjoying life responsibly and not live like a hermit. 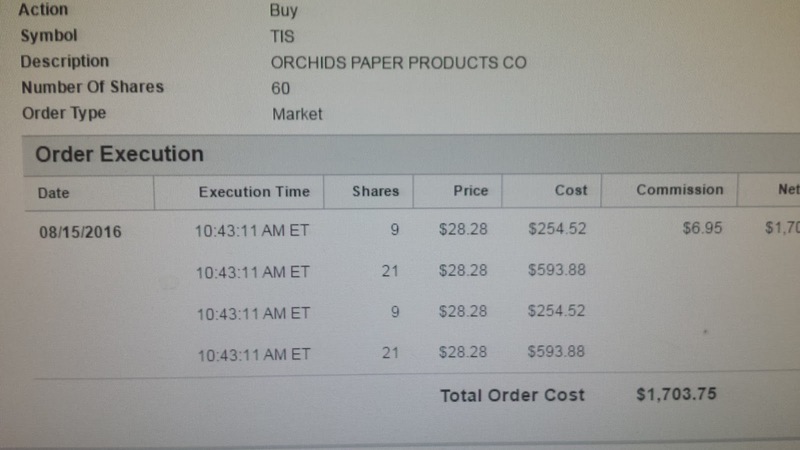 Today I initiated positions in Orchids Paper Products and Disney. Total capital invested is $3367.33. The combined yield is 3.21% and will add $108.14 to my yearly dividends. After recently reaching $36 a share, TIS has finally started coming back to earth so I took the opportunity to pick up some shares around the 5% yield range. The DIS dividend yield isn't overly impressive, but the 10 year 23% annual dividend growth rate is off the charts. I have been watching FLO recently as well and it's dividend yield is approaching 4.5% so I may initiate a position fairly soon. I don't know if it the yield will reach 5% or not, but I would definitely be a buyer there. August is here and it's time to keep adding to the pipeline. 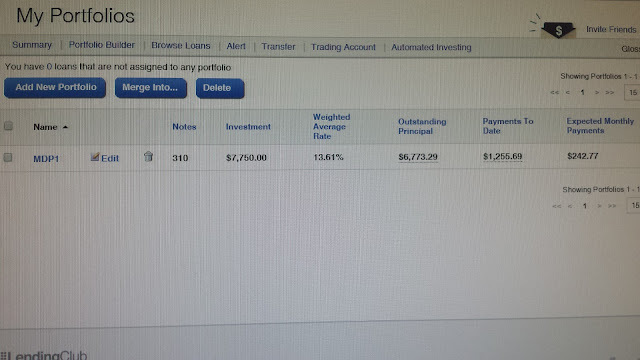 Total capital invested is $3497.68 and the combined yield is 5.59% and will add $195.60 to my yearly dividends. I was tempted to buy shares of BMY on a huge drop today. 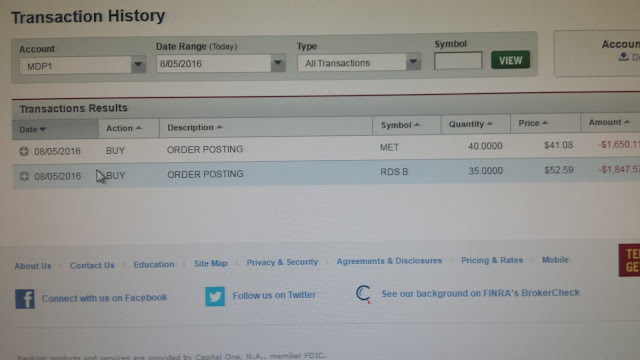 I already have 300 shares of PFE and a position in GILD, so I opted to add an insurer to further diversify the portfolio. I will watch BMY over the coming weeks and may still initiate a position. The yield is now around up to around 2.4% and looks pretty attractive here. Other positions that I am eyeing closely are T, SO, PM, BA, PG, and TIS.